Its the most WONDERFUL time of the year!!! Ok Ok I know we sing that at Christmas and many parents sing that when the kids are going back to school but for me I sing it now because I just LOVE summer. What isn't to like about waking up to beautiful sunshine, drinking coffee in the sunshine on the deck and of course not having to worry about socks. For a few years we have doing a summer bucket list which always turns out to be so much fun. But this year was so different. 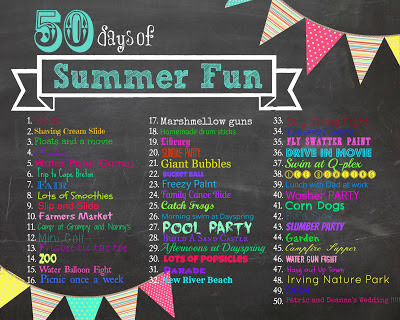 Now that Eben is getting older he sat down with me and we went through my summer fun pinterest board; looking at all the fun things other people have done and together we came up with 50 things to do this summer with our family. 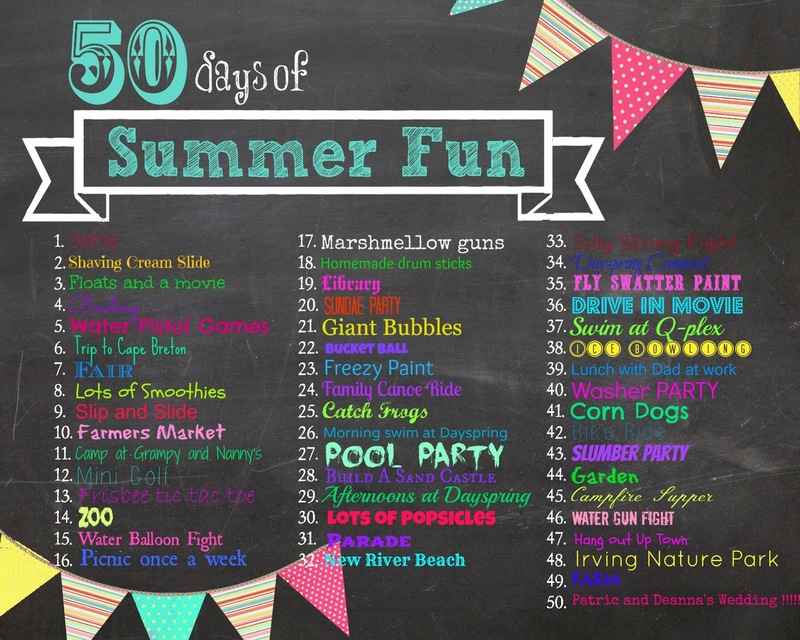 I really love the summer fun chart I found over at The crafting chicks. 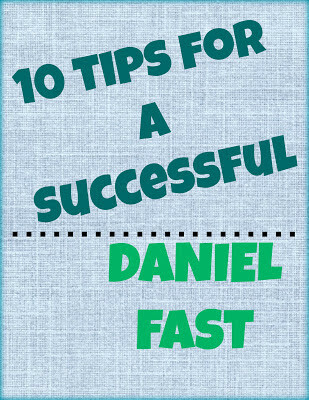 I downloaded it and then I used picmonkey to put all the fonts onto it. It takes a little bit of time but as long as you zoom in it makes it a lot easier. This weekend is the official first day of summer and I am excited that we will be heading to the farmers market to start things off. I will try my best to post lots of pictures of our adventures and lots of summer recipes that we are cooking up in the kitchen and at the BBQ!!! Make sure you let me know what kind of things you have planned for the summer.